The gambler’s fallacy is the mistaken belief that the likelihood of a certain independent event occuring in the future depends on past events, which don’t influence it in reality. For example, the gambler’s fallacy might cause someone to believe that if a coin just landed on heads twice in a row, then it’s “due” to land on tails on the next toss. Accordingly, the gambler’s fallacy means that people mistakenly believe that if a certain event occurs more frequently than normal during a certain time period, then it’s likely to occur less frequently in the future. Alternatively, the gambler’s fallacy can also cause people to believe that if a certain event occurs less frequently than normal in a certain time period, then it’s likely to occur more frequently in the future. Since the gambler’s fallacy plays a crucial role in people’s thinking, both when it comes to gambling as well as when it comes to other areas of life, it’s important to understand it. In the following article, you will learn more about the gambler’s fallacy, understand the psychology behind it, and see what you can do to minimize its influence, in order to help you make more optimal decisions. The mistaken belief that if a certain independent event occurs more frequently than normal during a certain time period, then it’s less likely to occur in the future. The mistaken belief that if a certain independent event occurs less frequently than normal during a certain time period, then it’s more likely to occur in the future. These forms of thinking are fallacious, because when events are independent of one another, their outcomes are unrelated (by definition), even if our intuition causes us to feel otherwise. For example, to see how the gambler’s fallacy affects people, consider a situation where we just rolled a pair of dice, which both land on 6. The odds of this happening in a fair dice roll are 1/36, since the odds of each die landing on a 6 are 1/6. Here, the gambler’s fallacy could cause someone to assume that the odds of both dice landing on 6 again on the next roll are lower than 1/36. However, in reality, on each individual roll, the odds of the dice landing on double 6’s are still 1/36. This continues to be true regardless of how many times we roll the dice, since the dice can’t remember what they landed on last time. Essentially, there is no way for the last dice roll to affect the next one, which is why it’s incorrect to assume that these independent events affect each other. Based on this, we can say that the gambler’s fallacy represents one manifestation of the irrational belief that prior outcomes in a series of independent event affect the probability of future outcomes. As such, this fallacy is considered to be both a cognitive bias, since it represents an irrational pattern of thinking, as well as a logical fallacy, since this irrational pattern of thinking prompts the use of fallacious reasoning. The gambler’s fallacy is most commonly associated with how people think when they gamble. An example of this is the widespread and incorrect belief that if a certain number was recently drawn in a lottery, then it’s unlikely to win again in an upcoming draw. However, the gambler’s fallacy can also influence people’s thinking and decision making in other areas of life, such as in the case of childbirth, where people often believe that someone is “due” to give birth to a baby of a certain gender, if they have previously given birth to several babies of the opposite gender. Furthermore, the gambler’s can affect the behavior of various professionals, such as loan officers, sports referees, judges, and even psychologists, despite the fact that many of them are well aware of its influence. Historical note: the gambler’s fallacy is sometimes referred to as the Monte Carlo Fallacy. This is attributed to an incident which occurred in 1913 at a roulette game at the Monte Carlo Casino, where the ball fell on black 26 times in a row. Since this was such a rare occurrence, gamblers lost millions of dollars betting on red, in the mistaken belief that the ball was due to land on it. The gambler’s fallacy occurs primarily due to the imperfect way in which our cognitive system processes information. Specifically, it occurs due to the representativeness heuristic, which in this context is the tendency to assume that a short sequence of random outcomes should be strongly similar to a longer sequence of such outcomes. This also signifies a belief in the law of small numbers, which denotes that even samples that are relatively small are expected to be highly representative of the populations from which they are drawn. Essentially, this means that people assume that streaks of outcomes will end up “evening out” in order to be considered representative of what an ideal and fair random streak should look like, because they view chance as a fair and self-correcting process. In the case of a fair coin toss, for example, the gambler’s fallacy might cause people to assume that the ratio of heads to tails should consistently be 1:1. However, while this makes sense over a large enough number of trials (e.g. 100 coin tosses), where it’s reasonable to expect a roughly equal distribution of heads to tails, it doesn’t mean that there can’t be variations if we look at shorter sequences of coin tosses. For example, if we examine any group of 5 coin tosses out of those 100 trials, it’s likely that we will find many cases where the coin landed 3 times in a row on the same side. Overall, people experience the gambler’s fallacy because they fail to understand or internalize the fact that small samples are not necessarily representative of larger ones, meaning that there can be significant fluctuations in outcomes over short periods of time. This is exacerbated by the failure to understand that chance is not a fair or self-correcting process, and that independent events are unable to influence each other. In order to avoid the gambler’s fallacy, you must first recognize the fact that you or someone else are using it while making decisions. This, as saw earlier, occurs when someone mistakenly believes that the outcome of prior events affects the outcome of independent future events. However, research shows that simply being aware of the gambler’s fallacy is generally not enough in order to mitigate it, which is unsurprising, since we saw earlier that even professionals who are aware of this fallacy still experience it often. Rather, in order to neutralize the influence of this fallacy, you need to emphasize the independence of the different events, by highlighting the fact that the events in question are unable to affect one another. The dice have no way of remembering previous rolls. The dice have no way of influencing future rolls. You can further internalize this concept by asking yourself or whomever you are trying to demonstrate this fallacy to, to explain how the dice might be able to influence the roll. This can be effective, since by asking people to think through the process, instead of simply explaining it to them, you increase the likelihood that they will internalize and accept the valid explanation for this phenomenon. Note that you can tailor your explanation to the specific scenario under discussion. However, if necessary, you can illustrate the concept of event independence using a simple and intuitive example, such as a dice roll or a coin toss, as we saw in this article. In addition to this technique, you can also benefit from other, more generalized debiasing techniques. For example, such techniques can involve explaining the concept of event independence using easy-to-understand graphical information, or optimizing the decision-making environment by removing external distractions which make it harder for people to concentrate. The mistaken belief that independent events can affect one another stands at the core of additional cognitive biases and logical fallacies beyond the gambler’s fallacy. For instance, there is the hot-hand fallacy, which causes people to mistakenly assume that a string of positive outcomes in a random event signals that more positive outcomes are going to follow. The hot-hand fallacy could, for example, cause someone to believe that if they rolled double 6’s twice in a row, then they are likely to get double 6’s again the third time they roll the dice. Another example of a related fallacy is the inverse gambler’s fallacy (sometimes referred to as the retrospective gambler’s fallacy), which occurs when someone incorrectly concludes that a random process is likely to have occurred many times in the past, based on the fact that they observed an unlikely outcome of this event. 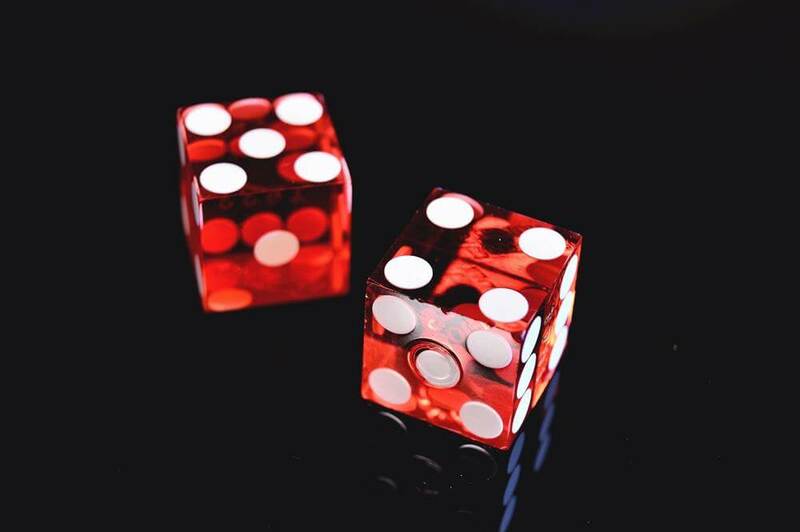 The inverse gambler’s fallacy could, for example, cause someone who sees a pair of dice landing on double 6’s to assume that the person rolling them has rolled them several times beforehand, just because this outcome is perceived as “rare”, and as unlikely to occur on the first roll. When encountering these fallacies, you can benefit from the same technique that you can use in order to overcome the gambler’s fallacy. That is, by thinking through the relevant process and demonstrating why these events are independent and unable to affect each other, you can reduce the influence that such fallacies have on other people’s thinking, as well as on your own. Sometimes, a rare outcome suggests that an event isn’t truly random. For example, let’s go back to the example of a coin flip. The odds of a fair coin landing on heads 5 times in a row are roughly 3 in 100. This isn’t too unlikely, and so, if we toss a coin and it ends up landing on heads 5 times in a row, it shouldn’t necessarily cause us to be suspicious of anything. But what if we keep tossing the coin, and it keeps landing on heads? Let’s say we keep tossing the coin a few more times, and it ends up landing on heads 10 times in a row. The odds of a fair coin doing that are approximately 1 in 1,000. This is still an unlikely outcome, which might cause us to suspect that the coin isn’t a fair one, but it’s still possible that this simply occurred due to chance. However, let’s say we want to investigate this topic further, and try to discern whether or not the coin toss is fair, so we keep tossing the coin until we get 50 tosses in a row. Since the odds that the coin will keep landing on heads 50 times in a row are about 1 in 1,126,000,000,000,000 (1 in 1.126 quadrillion), if this outcome occurs then it’s reasonable to assume that the coin toss is rigged in some way, since the likelihood of receiving this outcome is so low otherwise. This concept can be quantified using statistical inference methods such as Bayesian inference, which take into account evidence in order to calculate the probability of a certain hypothesis being true. While the actual method of quantifying such probabilities is complex, the main takeaway here is this: while it’s important to be aware of the gambler’s fallacy, and to avoid assuming that independent events can affect one another, it’s also important to remember that in some cases, past outcomes suggest that future events aren’t truly random, a fact which you should take into account when making decisions. The gambler’s fallacy is the mistaken belief that past events can influence future events that are independent of them. Specifically, the gambler’s fallacy occurs when people mistakenly believe that if a certain event occurs more frequently than normal in a certain time period, then it’s less likely to occur in the future, and vice versa. People experience the gambler’s fallacy due to their belief that chance is a fair and self-correcting process, and due to their belief that a short sequence of random outcome should be representative of a longer sequence of such outcomes. To counter the gambler’s fallacy, you need to help either yourself or whomever is using this fallacy internalize the fact that the events in question are truly independent. You can accomplish this by thinking through the process, in order to demonstrate the fact that the independent events have no way of influencing each other. Remember that in some cases, a sequence of highly unlikely outcomes could be indicative that the events in question are not truly random, and that they could in fact influence one another. The less likely a certain outcome is, the more likely that the events in questions aren’t as random as they’re supposed to be.